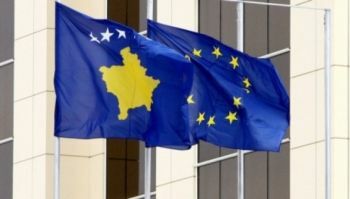 In 2008 the EU repeated its willingness to assist the economic and political development of Kosovo through a clear European perspective. The EU helps contribute to stability in Kosovo through the EULEX rule of law mission in Kosovo and Special representative in Kosovo. The role of international institutions in Kosovo has been crucial to restoring peace and assisting in the institutional building process and democratization after the war. The presence of these institutions has ensured that Kosovo did not slip into post conflict anarchy but upheld law and order, for all its isolated problems; although a big contribution in this sense can be attributed to the population itself and their tradition of hospitality and mutual respect.